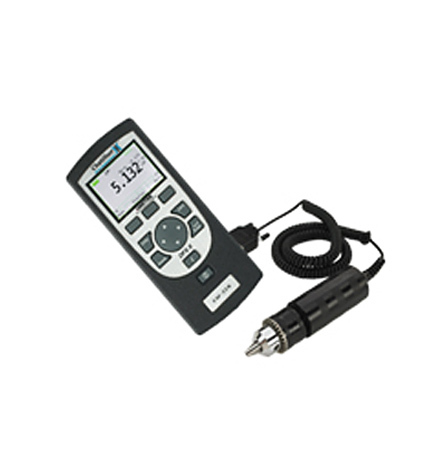 The Chatillon® DFS II Series with remote STS carries all of the features of the DFS II in a package that provides the user with the ability to perform torque measurements. The DFS II-R-ND allows the user to change STS sensors adding the flexibility of having one base indicator and several load cells to meet different testing needs. The head unit can also be used with SLC load cells providing one unit to perform all force and torque testing. Use a Non-Dedicated Torque Sensor to expand the applications that can be performed by a single DFS II digital force gauge unit. Use a DFS II with a remote STS torque sensor to check product packaging security and the ability of a consumer to open the package. The remote torque sensor design is useful in allowing for a technician to easily move around a product and perform multiple checks on fasteners.